Do you Share a love and a passion for these gentle creatures? Then come share in an exciting interactive experience between mankind and mammal. Our Private Manatee Tour, is sure to be just what you are looking for. Lets go swim with the manatee! 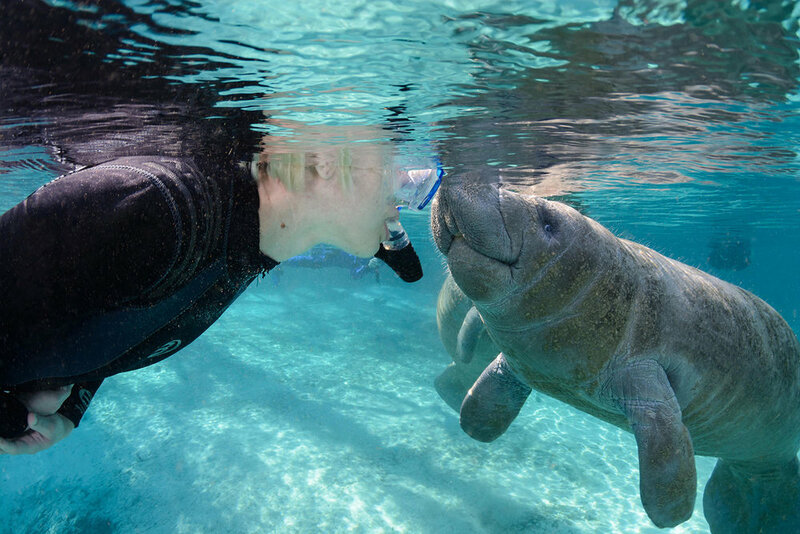 Snorkling with the manatee gets you up close and personal. We only offer... Private manatee tours with six persons or less. Greater time and consideration can be concentrated on smaller groups of four or less (minimum 2 persons or cost equivalent). Your Captains hold a USCG Masters License and have years of experience.